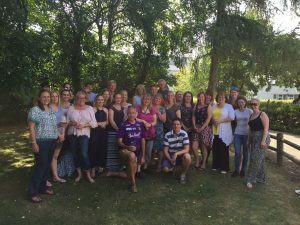 On the 9th July, our staff and their families attended our annual Staff BBQ. The sun was even in attendance for the day. As well as replenishing our energy with the food, the staff also enjoyed a game of cricket on the day. A well earned day of fun for the team! 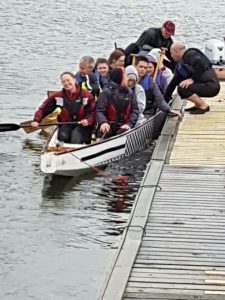 MK Vet Group Staff go Dragon Boating! 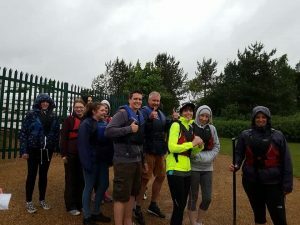 On Monday 5th June, our staff took to the water in the unfortunate wet and windy weather at Caldecotte Lake. However, the weather did not dampen our spirits. Sonia, one of our vets and Laura Austin, our head nurse, are keen dragon boaters and put the rest of us through our paces. The session was thoroughly enjoyed by all and we are hoping to enter a team at an event next year. During the start of 2017, we welcomed two new additions to our veterinary team expanding and increasing our knowledge and expertise. 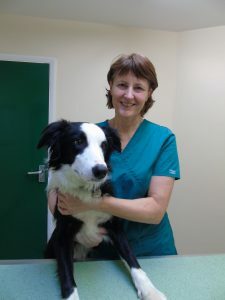 Heather Fordham joined us as a Saturday vet initially, however has now increased her hours with us. 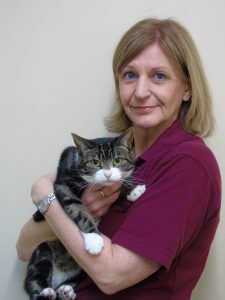 Heather graduated from Glasgow University in 1988 and has a special interest in feline and chicken medicine. Outside of work, she is a big netball enthusiast along with having two children, two cats and a husband to look after. Marina Crockford joined us in January this year on a full-time basis after previously working in Cardiff for the last 29 years. She has a strong interest in surgery including orthopaedics. In her spare time, Marina likes to hit the slopes in the winter and go cycling for the rest of the year. New additions strengthen veterinary team. Over the course of the year, we have sought to expand our team of veterinary surgeons. No, we don’t mean feeding them more chocolate, but increasing the quantity, and experience. Joe Barrington has been with us in a part-time capacity for a year now, but became full time at the beginning of summer. Throughout university and since graduating he has had a strong interest in diagnostic imaging and dog behaviour. He is currently studying ultrasonography. Joe is shown below performing surgery on a horse in a previous practice. Tiago Bispo started earlier in the year, initially to cover Anja’s maternity leave. Tiago’s area of interest is cardiology. He consults mostly at Stoke Road, but sadly will be leaving us to start an internship at a referral centre later this year. It is a fantastic opportunity for him and we wish him well. Carl Jarrett qualified in 1997 at Pretoria University in South Africa. After qualifying, he returned to the UK to work in small animal practice. 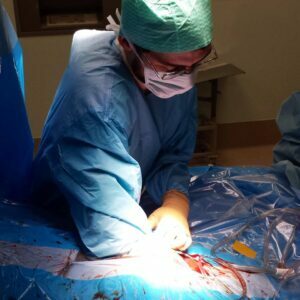 Carl has a strong interest in both soft tissue and orthopaedic surgery and worked in Australia for 7 years, learning and becoming proficient at advanced orthopaedic procedures. 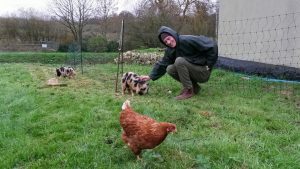 Here is Carl with some of his own pets on his smallholding. Having high calibre staff is important to us, enabling us to provide the very best care possible for you and your pets. They regularly partake in continuing professional development as required by the Royal College of Veterinary Surgeons and have regular team meetings within the practice to keep abreast of changes in practice policy. However, as important as it is that our vets and nurses are highly qualified, equally, if not more important, is that they are caring and compassionate. We really feel that they look after their patients as if they are their own.